With our event Ticketing add-on you can also scan tickets at the door to validate tickets or mark people as in attendance. Pause registration capabilities for regular website traffic when you need to perform maintenance on your website. 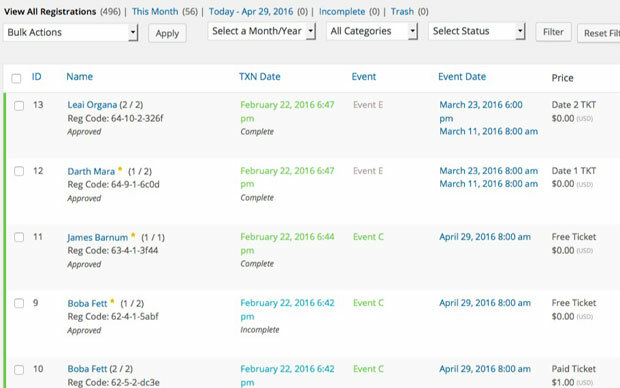 Collect, control and own all the information you acquire from event attendees–for free. It’s your data and we believe you should have control of it. Keep notes about a contact on their profile to help give them the best experience possible.